This entry was posted on January 28, 2015 by David Tetlow. The first smart headphones will be embedded with a laser light. 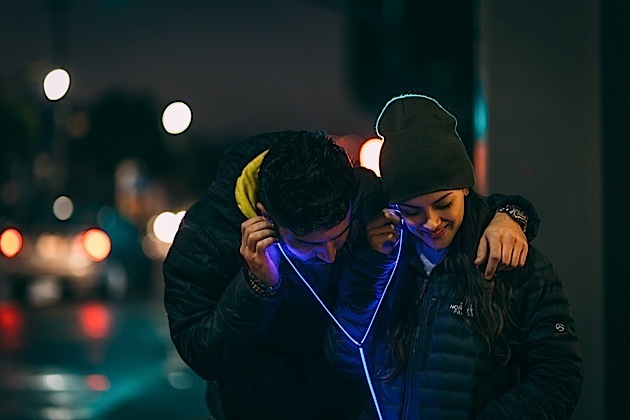 The product, called Glow Headphones, is planned to be the to be the world's first smart headphones that will have a whole range of features if it meets their Kickstarter goals. The headphones will feature: lights pulsing in sync with your heartbeat, a microphone for Google Talk and a remote to control your smartphone. The lit up headphones are a new addition to wearable tech that is being released. However, most wearable tech incorporates LEDs whereas this is done by lasers. The thin wires are made out of a material called Fibrance. When Zi Wang first came up with he concept two years ago he used electroluminescent light cables to create the prototype. He then came across Corning Fibrance and was so impressed by the technology that he decided to re-do the whole product using it. A quote from Cornings Website said: "The flexibility and tight-bend capability of the fiber allows it to curve, wrap, or contour around objects while maintaining bright and uniform light. Also, the fiber is so small and thin it is nearly invisible when the light source is off, thereby enhancing a product’s overall aesthetics and user experience." 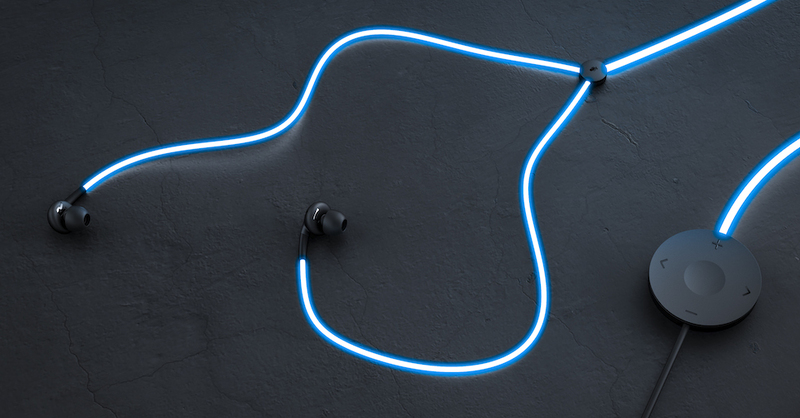 The headphones have an option between static lights, pulsating to your music or matching your heartbeat, The light comes in red, blue or green and is not yet available in a colour changing mode. Creator Zi Wang said: "Our heart rate sensing and ability to express that is about expression. When you're out running, you can see the light pulse faster according to the rhythm of your heart... If it senses you're in a calm mood, the pulsing will slow down."